The Rev. 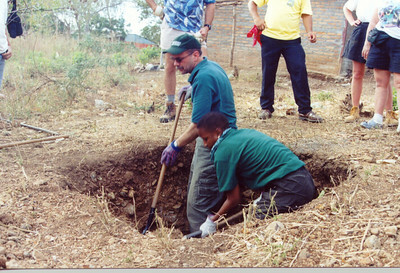 Eric C. Shafer, director, ELCA Department for Communication and Tammy Jackson, associate director, ELCA Department for Synodical Relations, dig in a pit in Pacora, Nicaragua. The Rev. 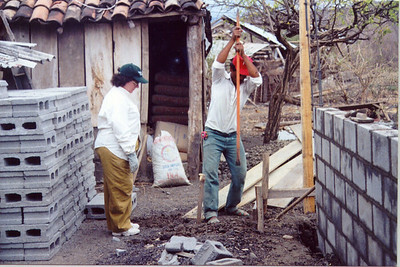 Nancy M. Curtis (left), Kane, Pa., assists in digging a footer for a new home in Pacora. ELCA representatives and others worked to construct new home in Pacora. 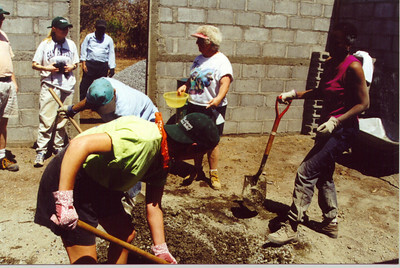 Here, they mixed cement and mortar. 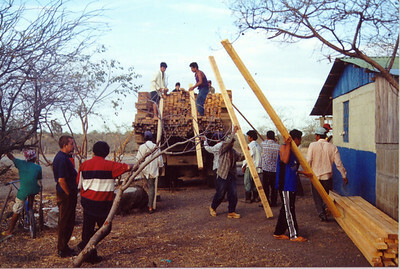 Pacora villagers and workers in the ELCA group unload lumber for new homes. 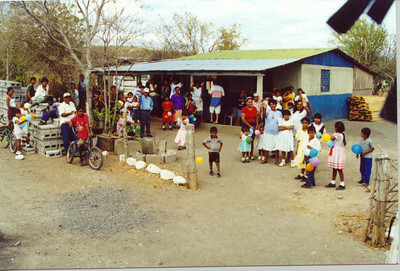 As the ELCA visitors left for home, Pacora village residents said goodbye. 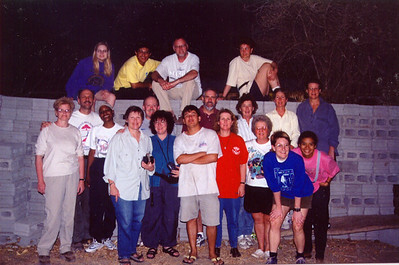 The ELCA representatives included staff, communicators and others who were interested in the work trip.